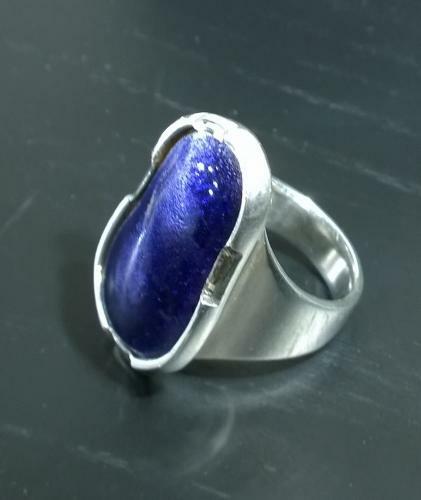 A rare, unique enamel ring by Naum Slutzky. Set with a purple enamel plaque in unusual setting, with partial portions of the collet pushed over the enamel. Slutzky was always striving to find new ways of setting and presenting stones, this is one of his experimental works. Provenance:The workshop of Naum Slutzky 1965 and then by descent to the previous owner.